While evolving from a trajectory of previous works that explored sound through deconstructive and re-combinatory methods, for sale Marla Hlady’s most recent work takes this exploration to a grander scale. Playing Piano takes up (and apart) one of the most popular and complex musical instruments. Stripped down, altered and refashioned, Hlady’s piano is made to function in unexpected ways. 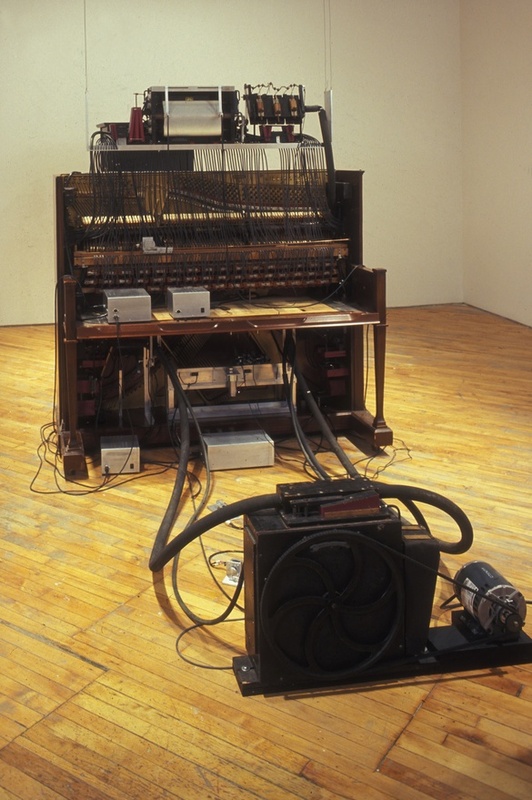 With the addition of microprocessor-controlled machines and the appropriation of old piano rolls, Playing Piano subverts expectations as other unanticipated sounds are generated. Here the piano plays in more ways than one: its play is not only with music and sound but also with the guiding assumptions and conventions that determine their limits. MARLA HLADY draws, makes sculpture, works with sites and sounds and sometimes makes video. Hlady’s kinetic sculptures and sound pieces often consist of common objects (such as teapots, cocktail mixers, jars) that are expanded and animate to reveal heretofore, unexpected sonic and poetic properties. Hlady has shown widely in solo and group shows. Marla Hlady would like to acknowledge the support of the Canada Council for the Arts, the Ontario Arts Council, the Toronto Arts Council, and Jessica Bradley at Jessica Bradley Art + Projects.